*Appointments may be available outside of posted hours. For questions regarding scheduling please reach out us. 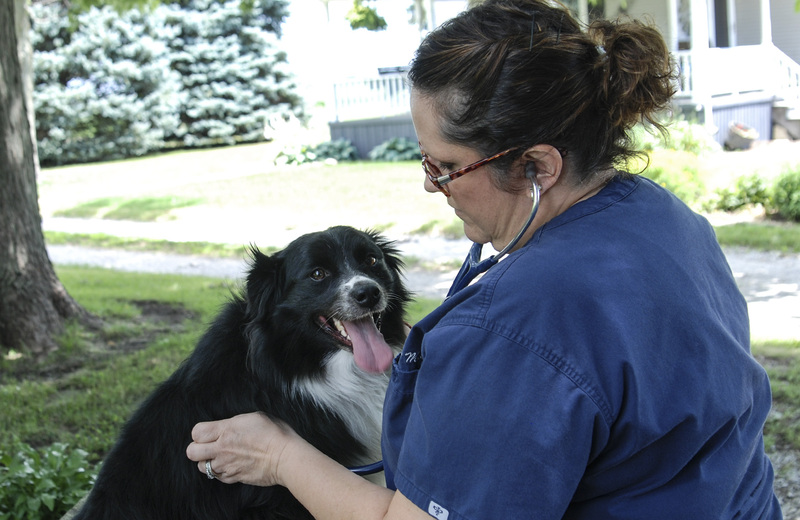 Dr Roth will examine your pet in the comfort of your own home whether they need a vaccine or aren't feeling well. Eliminating the need to travel or wait in a crowded exam room. 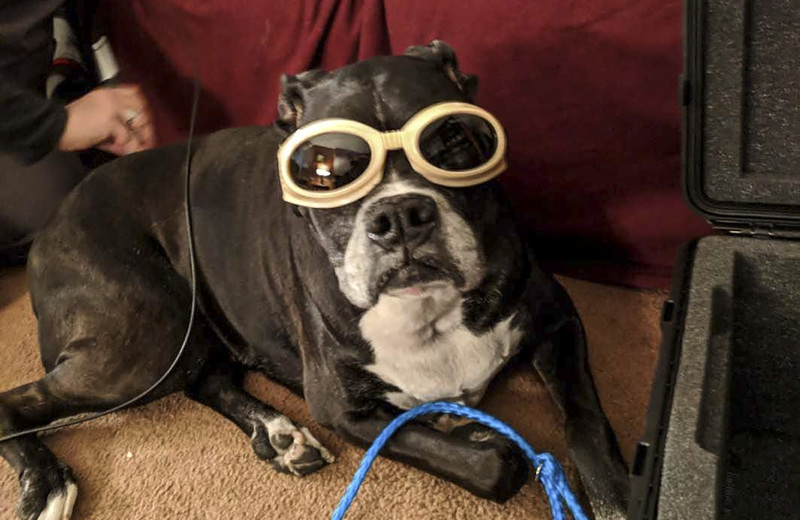 Laser class 4 laser therapy treatments are available to help your pet or horse recover from a variety of ailments. K-Laser is an alternative treatment that can help with arthritis, fractures, joint disease, wounds, hot spots, geriatrics, stomatitis, dysplasia, ear infections, dentals, sprains & strains, and so much more! 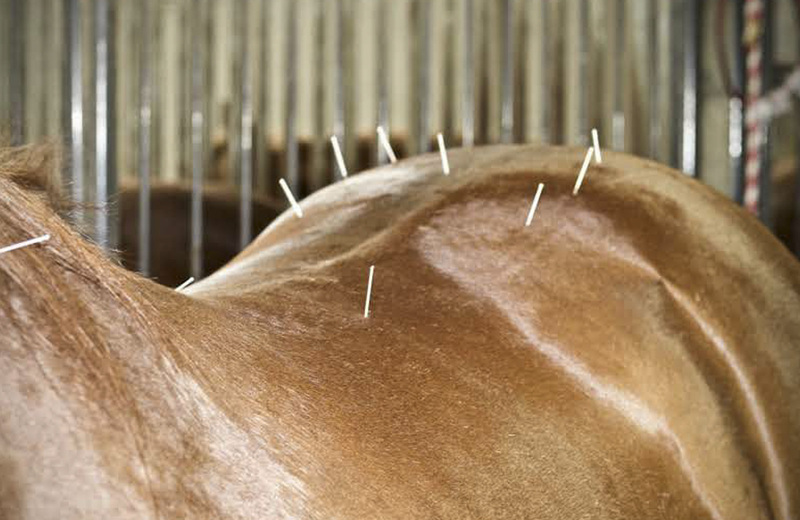 Dr Roth specializes in acupunture for pets and horses. Whether your pet is having a hard time getting up on the couch, trouble trying to stand after laying down, or your horse has a sports injury. Acupuncture can alleviate that pain / discomfort they are feeling. 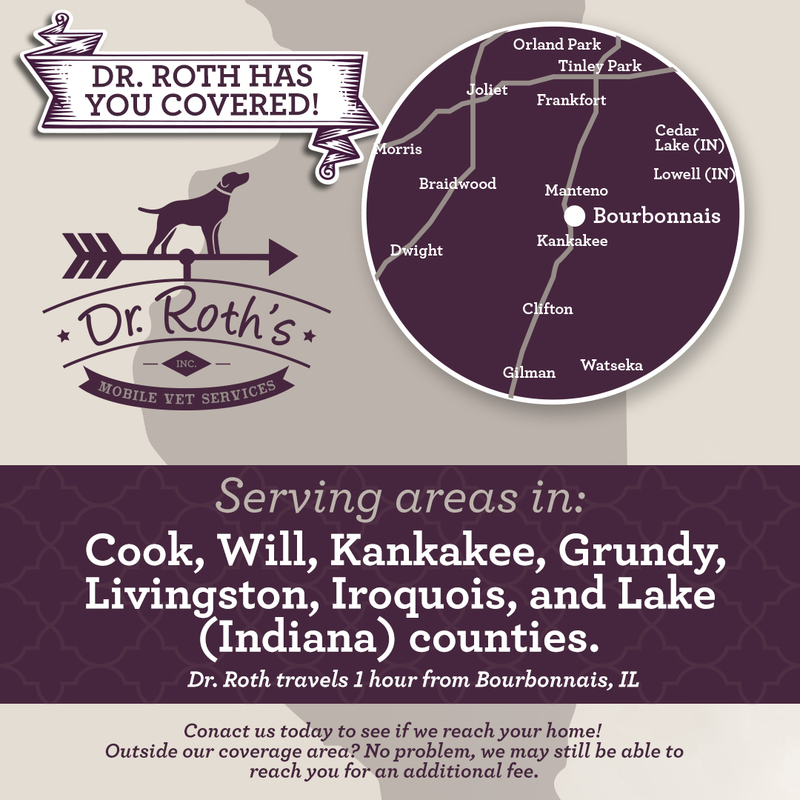 Dr. Roth has you covered! Serving areas in: Cook, Will, Kankakee, Grundy, Livingston, Iroquois, and Lake (Indiana) counties. Contact us today to see if we reach your home! Outside our coverage area? No problem, we may still be able to reach you for an additional fee. We know how important it is to get the right treatment for your pet.